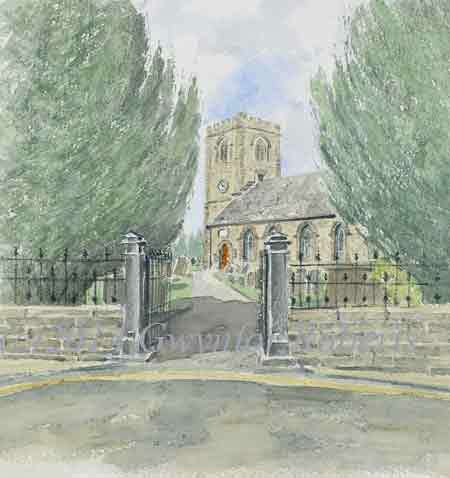 Painting of the Saint Mary's Church, dolgellau. I've been to Conwy, North Wales many times but have always driven pass Dolgellau. But on my trip up North in 2013 I made a point of dropping into Dolgellau. A smashing little town and on my walk abouts I found this view of the entrance to Saint Mary's church.